Are we truly unique? More importantly — are we truly alone? Without mincing words, we can state that the cosmos has offered us no hint of the presence of beings as clever as, or cleverer than, Homo sapiens. It’s tempting to jump from this observational fact to a disappointing conclusion: There’s no one out there. That’s not to say that the universe is sterile. Most astrobiologists seem comfortable with the premise that life might be widespread. But their optimism doesn’t always extend to complex, intelligent life. It’s possible that we inhabit a universe whose occupants are mostly pond scum. After decades of seeing semi-humanoid aliens strut across the silver screen, it would be more than a little disappointing to think that the actual cosmic bestiary largely consists of plants and animals that are microscopic, or at best, no smarter than cane toads. That situation would make humans very special, a circumstance that seems at odds with the enormous amount of real estate available for life, as well as the billions of years since the Big Bang during which intelligence could arise. So, could there be a plausible explanation for why the universe seems so short on keen-witted company? Economist Robin Hanson has suggested that life inevitably encounters a barrier on its evolutionary path to thinking critters – a Great Filter that keeps down the average IQ of the universe. What could this barrier be? Perhaps life itself is rare because it’s difficult to cook up in the first place. Maybe the transition from single-celled to multi-celled organisms is a bridge too far for most ecosystems. Possibly the emergence of intelligence is a fluke, like winning the Powerball, or perhaps all thinking beings inevitably engineer their own destruction shortly after developing technology. The idea that there are insurmountable hurdles in the path to intelligence leads to an interesting corollary. Consider the possibility that we’ll someday find microbes under the dry surface of Mars, or beneath the frozen ice of a moon like Enceladus or Europa. That would tell us that one hurdle – the origin of life – can be removed from the list. After all, if biology began on both Earth and another nearby world, then it’s a safe bet that it’s commonplace. No strong filter there. If we were to discover more sophisticated life somewhere, perhaps equivalent to trilobites or dinosaurs, that would also eliminate some of the postulated filters. Indeed, Nick Bostrom, at Oxford University, has said that it would be horrifyingly bad news to find such complex organisms on another world. Doing so would tell us that the Great Filter is in our future, not our past, and we are doomed. Homo sapiens will come up against a wall that keeps us from extending our dominion beyond Earth. Our species, as lovely and promising as it is, would would have a destiny that is short and dismal. The appeal of the Great Filter idea is that it takes a fairly limited observation – we don’t see any evidence of aliens in the night sky – and draws an astounding (if dystopian) conclusion about humanity’s destiny. Could the Great Filter Theory be Full of Holes? One could argue whether the various hurdles that have been suggested are really all that daunting. For example, the claim that the evolutionary step from insensate creatures to thinking beings could be incredibly unlikely. A premise of the Rare Earth hypothesis, put forward in a book by Peter Ward and Don Brownlee, published nearly two decades ago, is that the physical conditions of our planet are both finely tuned for our existence and seldom encountered elsewhere. Yes, smart creatures arose on Earth, but that’s because our planet is really special. However, the recent detection of thousands of planets around other stars suggests that terrestrial worlds are hardly in short supply. If there is a Great Filter, it’s not likely to be lack of suitable habitats. Other suggested barriers to intelligence are less easily dismissed because they depend as much on sociology as on astronomy. Many people seem almost proud to bray that humanity is going to Hades in a handbasket. If nuclear war doesn’t do us in, climate change will. But given that we have at least a chance of being smart about these threats and avoiding total self-destruction, it seems pretty clear that some reasonable fraction of alien societies will also be able to keep themselves alive and kicking for the long term. Indeed, it’s my opinion that the Great Filter idea falters not on the merits or otherwise of the proposed filters, but on the initial premise: Namely that, because we don’t see any evidence for other intelligence, we require some general mechanism to keep the cosmos short on sentience. Sure, it’s amusing to enumerate some of the difficulties in going from murky chemical soup to space-faring beings, but it seems far more likely that the problem here is a too-hasty conclusion about the prevalence of cosmic confreres. 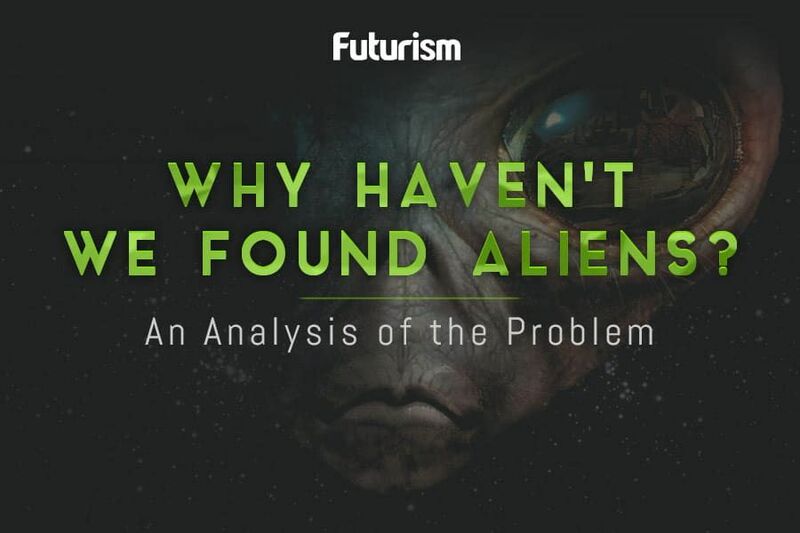 The efforts to find radio and light signals from other worlds, known as SETI (the Search for Extraterrestrial Intelligence), has so far failed to uncover any hailing signals from aliens. But these experiments are both underfunded and still in their early days. Even if the universe is chock-a-block with transmitting societies, SETI could easily miss them, simply because of inadequate instrument sensitivity or the fact that only a small number of star systems have yet to be searched. A common, and regrettable, error is committed when people note that the SETI scientists have been toiling for more than 50 years without a discovery, as if that suggests that intelligence is rare. It doesn’t. Throughout most of that period, observations were restricted by the lack of telescope time or by receivers that could only examine small slices of the radio dial. In addition, it’s worth remarking that humanity is in the process of developing artificial intelligence, a technological trajectory that other sophisticated societies could very well follow. Unlike biological intelligence, AI can self-improve at tremendous speed. Also, there aren’t obvious limitations to the spread of machines throughout the cosmos. The implication of this observation is that the majority of the intelligence in the universe is likely to be synthetic. And machine intelligence might be small, localized, and cryptic. The absence of evidence would hardly qualify as evidence of absence. The Great Filter theory, in other words, could be no more than an appealing solution looking for a problem. The Pentagon Ran a Secret Program to Find UFOs. Should We Expect Aliens?